Written by Matt DeGennaro, Tupelo is a 144-page Graphic Novel, featuring a 5 track music CD! From the streets of Greenwich Village comes the World's Greatest Junkie Superhero. 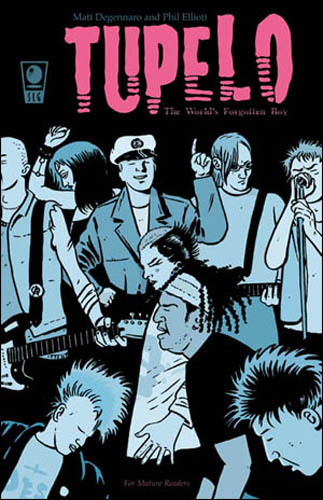 Escorted through the city by his former Punk Rock band mate, The 11 O'Clock Man, the captain is on a quest to right the wrongs invisible to the naked eye.